perfect for peace, romance, family and fun! 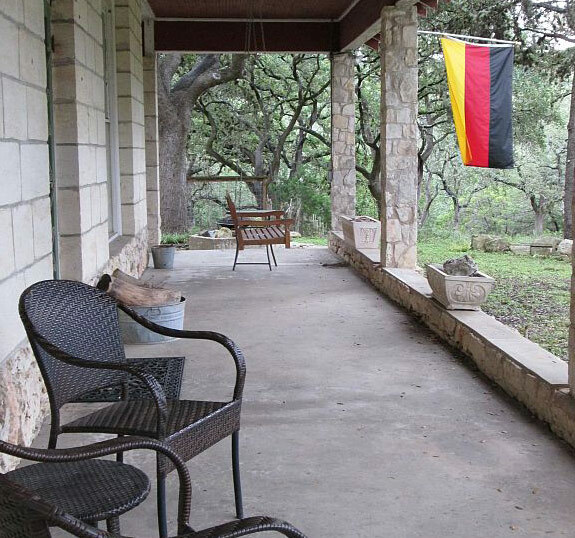 Our BIG COTTAGE (sleeps 6) is a like a German limestone castle with hill country views from the elegant front porch. 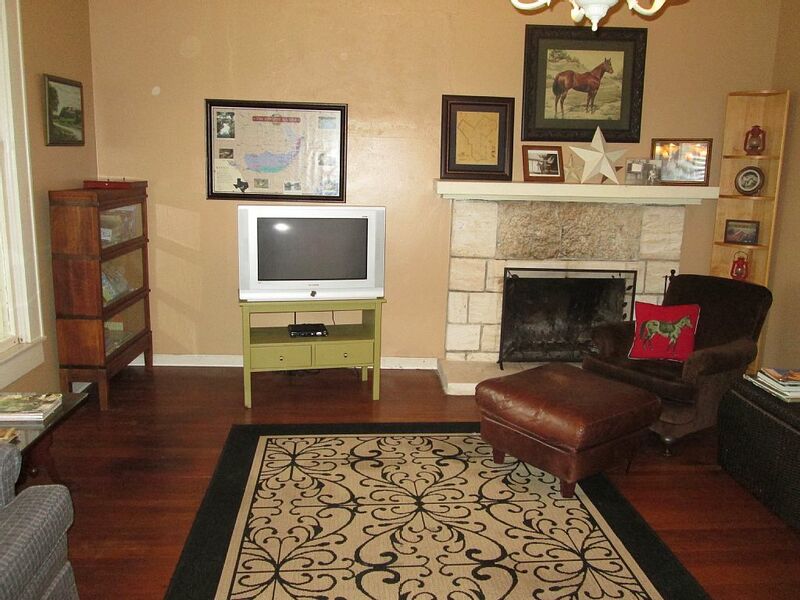 Inside the Big Cottage, the spacious living room has gracious stone fireplace & original hardwood floors. A French door leads into the MOZART Room w/ queen bed & luxurious linens. Enjoy coffee on the private side porch. 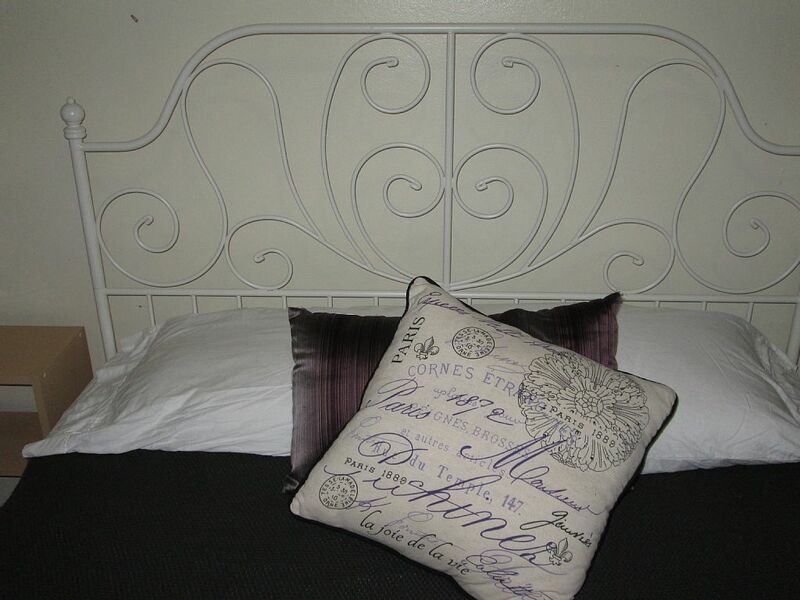 The MIMI Room has a queen bed & lots of natural light. 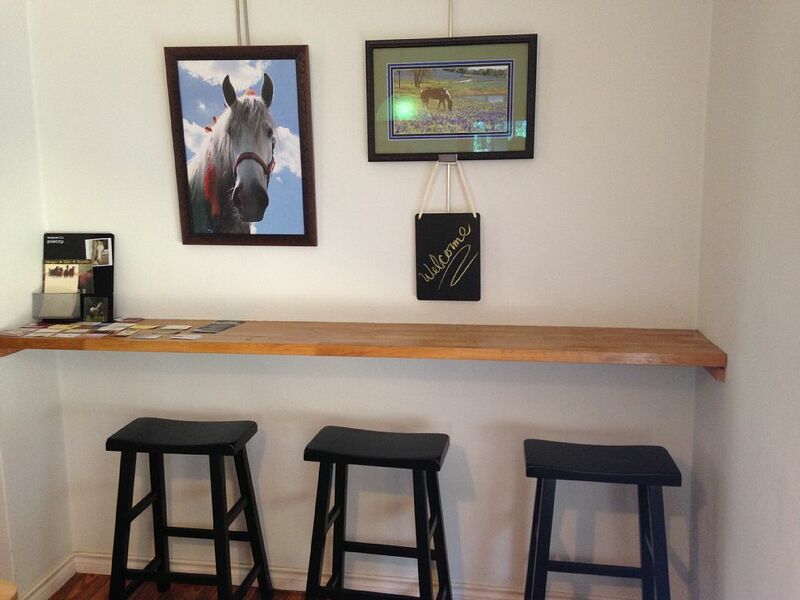 The PONY Room has double bed, a Ralph Lauren feel & a view of horses. The updated kitchen has farmhouse sink, lots of counter space, dining table, a pass-thru to the living room, bar seating & Old World charm that makes cooking a social activity! The European bath has spacious shower & exposed limestone walls. 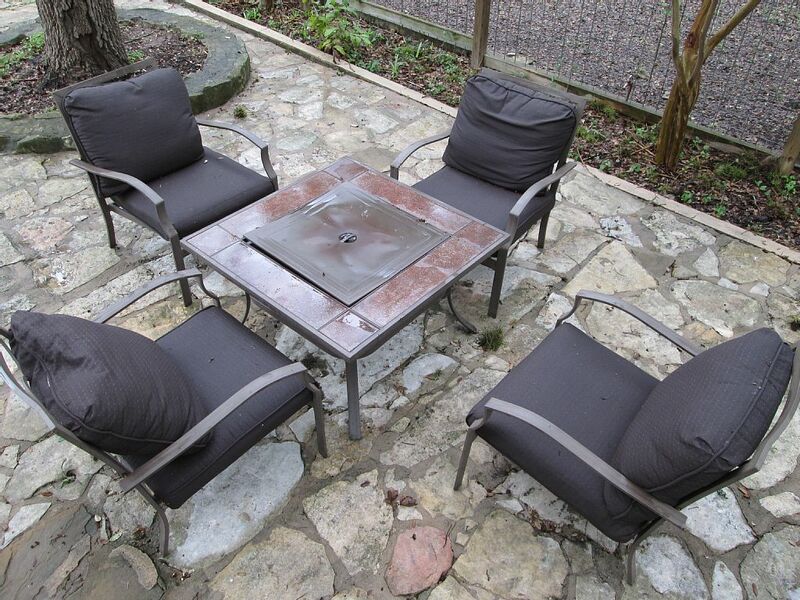 Enjoy meals outside in our biergarten patio w/ dining table & conversation seating. The huge fenced back yard is perfect for dogs. A tree swing gives the kiddos a fun activity! And there’s a hammock for relaxing under the trees. 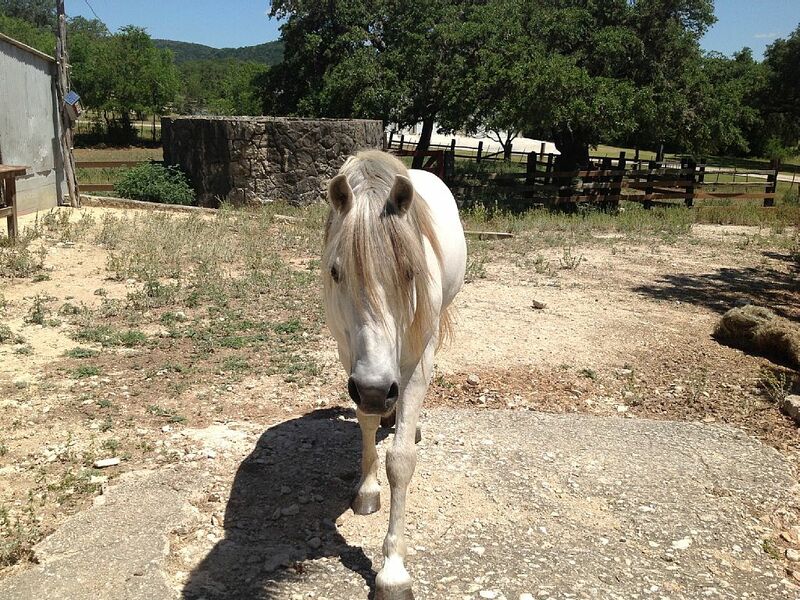 Starbuck, the Concierge Pony, greets you each day! 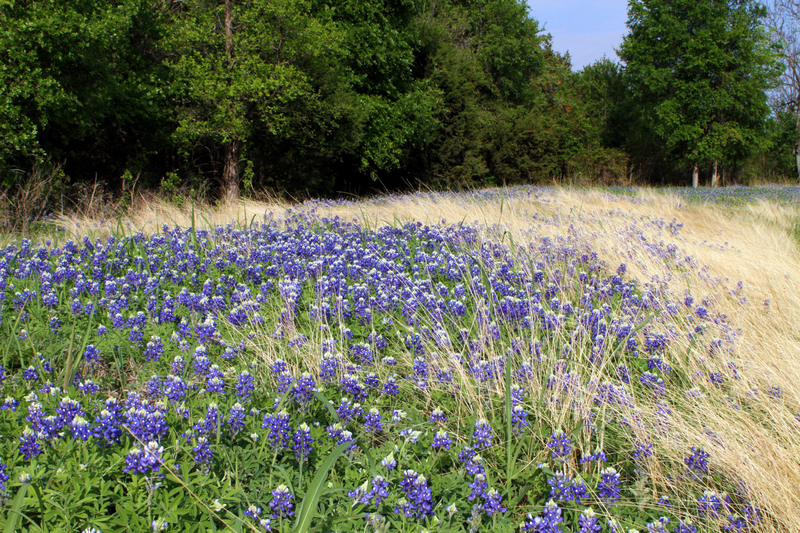 In 1919, my great-grandfather, Erich Menger, and his brother Rudolph, purchased 560 acres in the hill country. In 1922, Erich and his wife, Lydia, bought Rudolph’s share and built a charming rock cottage. My great-grandparents raised registered Angora goats, cattle and sheep, and ran a dairy. Together, they spent nearly 30 years at the ranch. During my childhood, our family harvested our Christmas trees, camped, hunted and gathered for picnics with extended family at the ranch. We swam in the cistern full of fresh rainwater or we rode on the tailgate down to the pool made by a dam in the Helotes Creek. But in 1973, our family sold the property. I vowed that someday I would buy the ranch back. In 2000, my sister drove past and saw the sale sign. Most of the land had been subdivided but the remaining 7 acres contained the original ranch house, a smaller cottage, carriage house and barns. In December 2000, my husband and I fulfilled my dream of recovering the ranch! 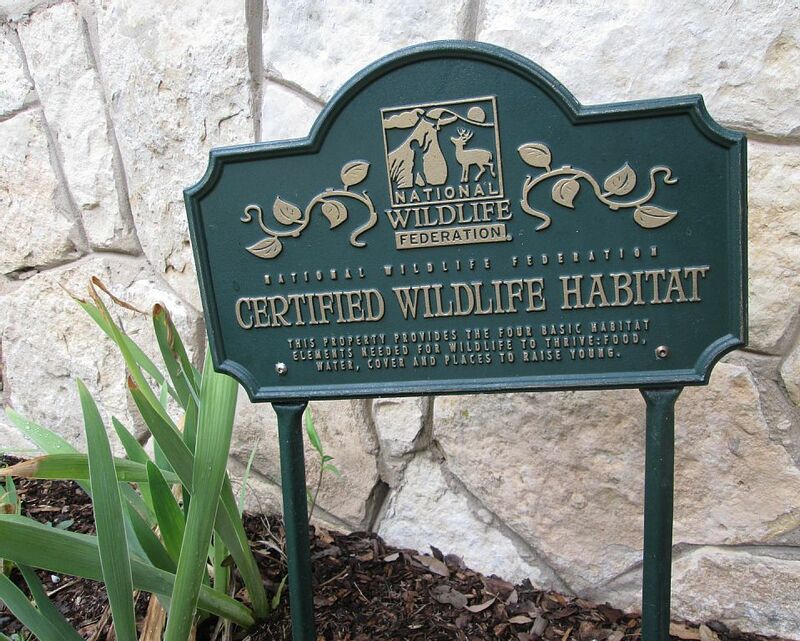 People come to our cottage to be close to Fiesta Texas, SeaWorld, UTSA and other major attractions but other types of people who love our place include historians, architects, authors, novelists, naturalists, bird watchers, bicyclists, botanists, conservationists, horse people and tree lovers. Which might you be or become after you visit our magical place? For more than 100 years, my family has been known in San Antonio for their hospitality and generosity. One ancestor, Rudolph Menger and his wife, Babette, along with his in-laws, William Menger (a different line of the Menger family) operated the famous Menger Hotel. My great-grandfather, Emil Klar, was a butcher who specalized in home-killed meats and “the sausage with a flavor.” Opi, as he was known in the German tradition, gave meat to hungry neighbors during the Great Depression until he could no longer run his business. My grandfather, Roland Klar, along with my grandmother, Floy (nee Menger) Klar, brewed homemade beer to share with their salon of many friends. Today, my cousin Erich Menger is one of the most sought-after caterers in town. Now my husband and I continue that tradition of hospitality with executive and vacation rentals of our historic family properties known as the Menger Cottages. Willkommen! 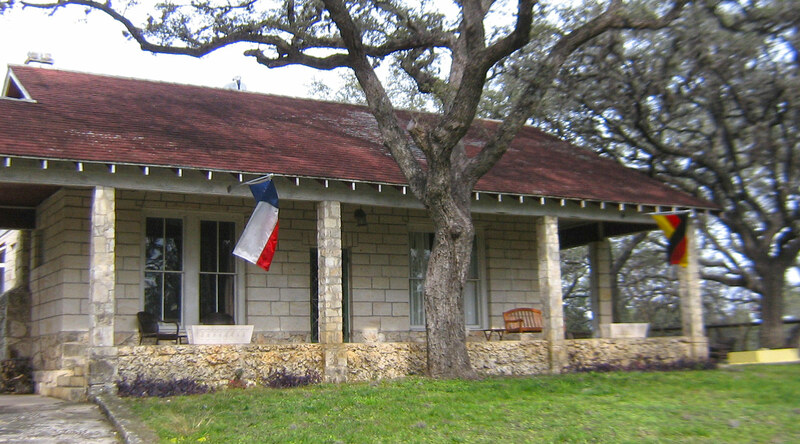 This was our 2nd visit to the Menger Cottages & 1st time stay in the Big Cottage. Our son & family lives about 8 miles away & this was the perfect accommodation to visit with them & still have our own privacy. This home is very cozy & has much history. During our 2-week stay, we had a Xmas reunion with our family. The outside patio area was perfect; it was 75 degrees & we had a fire going in the fire pit – plenty of room for 12 to 14 people to move around and enjoy visiting with each other. Our granddaughter made good friends with horses, Starbuck & Jack and they looked forward to their carrot snacks on her every visit! Home is conveniently located to get around San Antonio easily too. Thanks to Linda & Joe for their great hospitality & we look forward to staying here again next December! We are repeat visitors to this home and will likely come again. 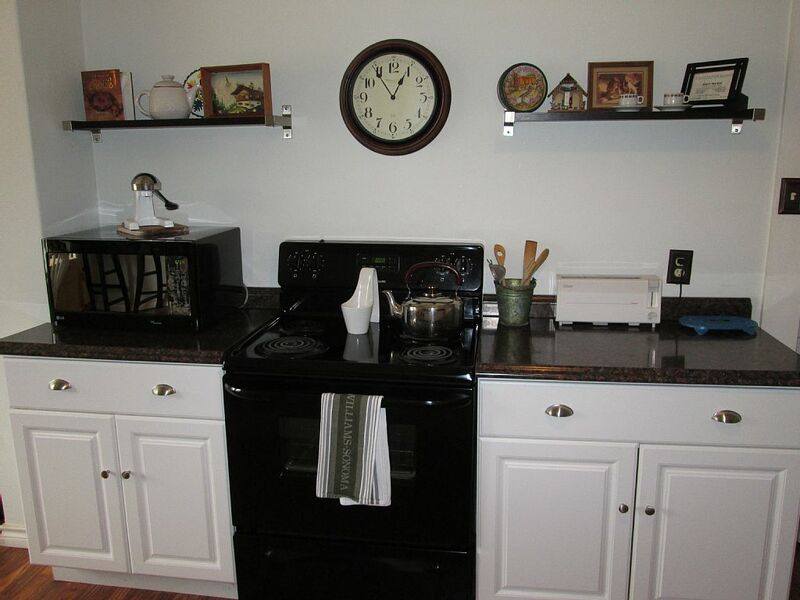 Great location, home well maintained and in a beautiful setting. We stayed a couple nights with our children and a great time was had by all. A beautiful and relaxing weekend! Thoroughly enjoyed the big cottage! I will be coming back to visit and stay at Menger Big Cottage! Beautiful location for wedding celebration! 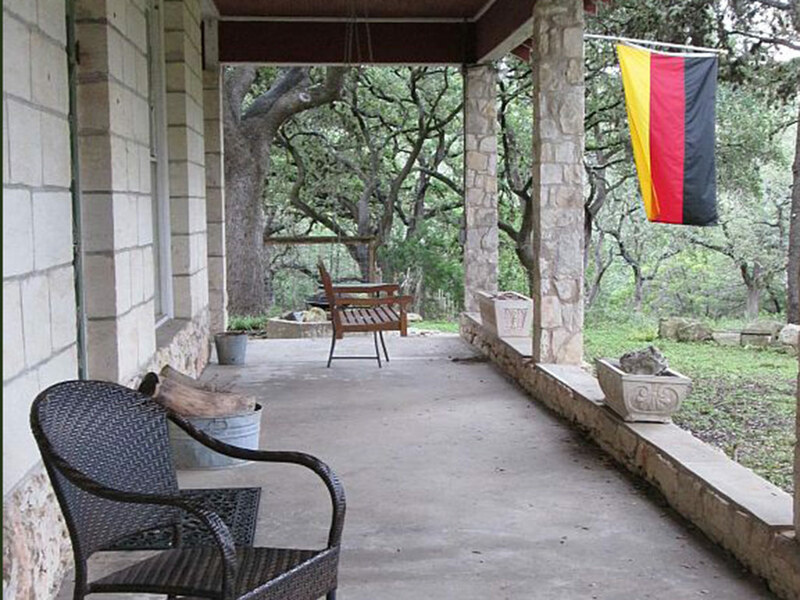 We’ve stayed at the Menger Cottages several time but this stay was particularly special. For the first time, we gathered with my brother’s new in-laws to celebrate his NY/Japan nuptials. What a great space to gather close but still feel we had space to spare! With guests from several different cultures and out of town spots, it was nice to rent both and have everyone in on place. We were able to comfortably gather around the table to enjoy meals as a group. After breakfast, we could scatter for a minute as we prepared for our days – some enjoying coffee under the trees watching the puppy (ours) enjoy the horses (that live at the ranch) as they came to the fenced in yard to find out about their new “friends;” others enjoying the front porch and trees; while others enjoyed walking the property to see if any of the native wildlife would show. But the best part was being able to gather family, even larger than what was staying on the property, for a beautiful family party in the barn! With plenty of space to serve buffet style and seat about 30 guests, it was a great party spot. It was a lot of fun to see the little children enjoy the horses as they came up to join the party along the fence lines. We keep coming back because every time we find a new reason to love this place! What a fantastic Labor Day weekend! We loved our stay here, and will definitely be coming back & booking again. Cottage and property are totally charming, and equipped with everything you need for a comfortable stay.. Plenty of sleeping space; also ample room in the kitchen, living areas, and outdoor spaces to entertain and relax. We even invited our cottage neighbors over for fun & drinks; and all fully enjoyed the grill, firepit, outdoor lounges, porch swing, and hammock. The fenced in area also allowed our dogs to securely roam and play outside. Owners are extremely helpful and attentive; and the property is in a perfect location – 20-25 min from Bandera; & close to other sights, San Antonio, etc. Highly recommend this property. This home was waaaay more than we expected! Our family was going to stay in a hotel for a month, but our realtor recommended that we look on VRBO.com for an extended home rental- this was GREAT advice. This home is precious. The views are amazing and the home is quite charming. We very much appreciated the boardgames in the living room, fenced-in backyard, laundry facilities, patios, the porch swing, and the hammock! We recommend the property to all of our friends. We stayed here 2 nights with our son, his wife, and daughter. We loved the entire place. We also brought our 2 babies, Standard Poodles. They especially loved the area! It was very clean and well stocked. We loved the quiet, the solitude, and ranch house feel. We highly recommend it! We stayed in the big cottage right before Thanksgiving and were thoroughly impressed with the property and Linda’s hospitality. We arrived after dark, so we didn’t get a chance to see the property until the next morning. We stepped outside the next morning to a beautiful view of acres of trees, horses, the entire ranch, and the hill country in the background. We’d read the reviews and seen the pictures, but they weren’t able to fully convey the beauty and serenity of the property. As a host, Linda was exceptional. We’ve stayed in a few rentals before, but I must say our interactions with her from when we made the initial reservation earlier in the year to when we left was wonderful. She pleasantly rearranged our reservation twice, followed up immediately, and when we had a minor issue during our stay, she arrived in person the next morning to make sure it was corrected. She even shipped us a jacket we left after checkout free of charge! If you want to “get away” from the suburbs/city, this is the perfect property. Secluded enough for ample privacy, yet just a few minutes away from shopping, activities, etc to make it the perfect place to stay. We can’t wait to come back, and can be assured we’ll be staying here again. Thanks Linda!